One of Netflix’s newest original releases is Dan Gilroy’s horror/thriller Velvet Buzzsaw which premiered at the Sundance Film Festival this past week. The movie stars Jake Gyllenhaal, Zawe Ashton, Toni Colette, and Rene Russo as high profile members of the Los Angeles and global art world who become enmeshed in a power struggle revolving around strangely captivating paintings. 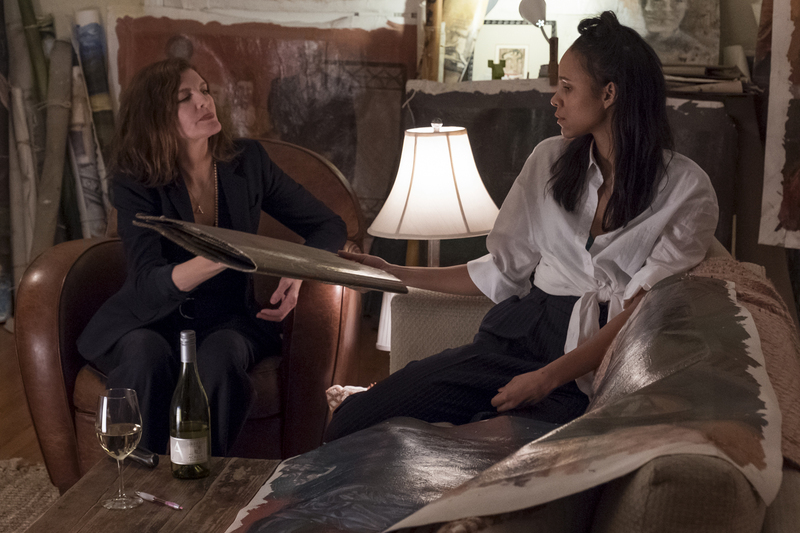 When Josephina (Zawe Ashton) finds the body of Ventril Dease, a tenant in her building and the mastermind behind numerous evocative works of art, she takes it upon herself to become his agent. The conundrum – not to mention breach of ethics – comes after learning the old man left strict instructions for all his work to be destroyed following his death. Nevertheless, Josephina, once a lowly assistant under renowned collector Rhodora Haze (Rene Russo), is now on her way to attaining fortune and fame with her stake in Dease’s paintings, besting her contemporaries. Jake Gyllenhaal plays Josephina’s lover, the sharp and fiercely articulate (delightfully pretentious) critic, Morf Vandewalt. His word is the only one that matters in this town, and he’s as eager to devour Dease’s handiwork as the next person. Yet, it’s he – along with others – who may be devoured. After much bickering, debating, selling, and profiting, the film starts to pick up pace around forty minutes in when the true nature of the paintings is revealed. They entrance each viewer, pushing them to spiral into madness one way or another. Flames curl around the canvas out of thin air, blood trickles from the gaping mouths of painted figures, and faces move and track you, proving something far more sinister is at play than simply the dark images depicted. Soon, the clean and sterile white walls of the art gallery are intruded upon, spattered with blood, as the forces that imbue Dease’s paintings attack victims from within their canvas confines but are also somehow powerful enough to leave the frame and terrorize the subject of its ire. Thrilling as the concept is, it’s difficult to care about characters who are fueled by greed, fame, and competition. Yet the dark energy of Dease shares those same sentiments and is keen on getting rid of their purveyors. Each player profiting off his work is plucked off one by one. The plot is predictable in the sense of guessing who will die, but interesting, to put it lightly, in discovering how. To call it gripping would be an overstatement, but it’s not a total bust to watch Morf squabble with his peers and inferiors while making a quip about how he knows best or squinting at pieces in either awe or disdain. The horror isn’t hair-raising, more campy and comical than chilling. Certainly, Gilroy has a unique way of approaching the genre, yet the film would be better served had he strictly focused on one element – funny or frightening. Unless you’re a die-hard Gyllenhaal fan you’re not missing out. 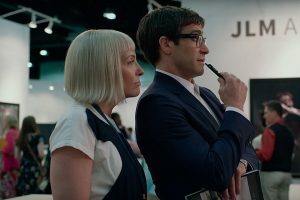 If only Velvet Buzzsaw was as captivating as the paintings at its core. 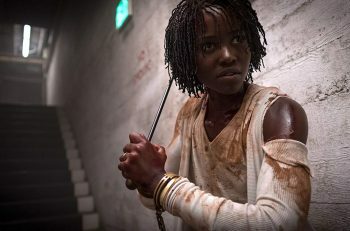 How does Velvet Buzzsaw hold up against other recent horror films? What’d you think of the film? Share in the comments below. Next article ‘America’s Got Talent: The Champions’ recap: Who got Terry Crews’ Golden Buzzer? Is a Mother’s Love Enough to Keep Netflix’s “Bird Box” Afloat?